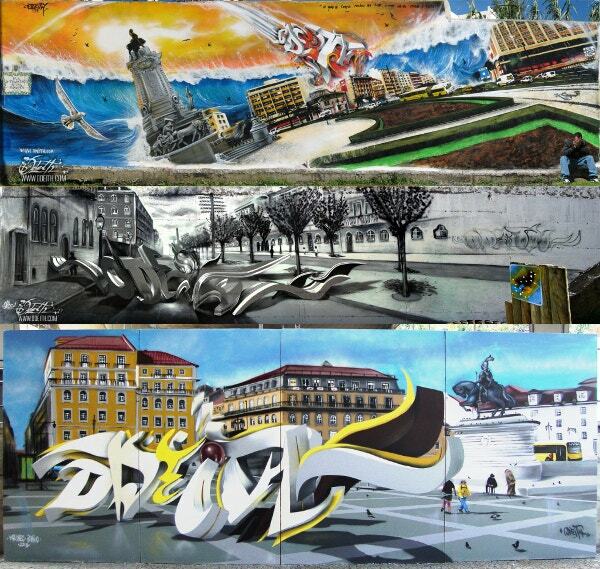 Graffiti art is an unconventional art form which has its origins in the 1960s. There has been constant debate about its legitimacy as an art form, all thanks to the lack of rules and form which are considered to be flag points of its presentation. 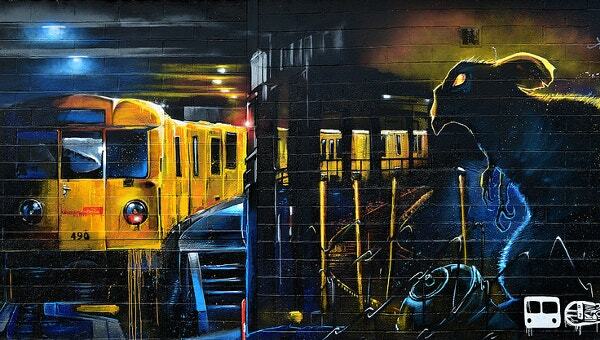 Irrespective of all the opinionated discussion, there is no denying that graffiti art form has poised itself in an important role to play in the world of art and design. You can also see Graffiti Backgrounds. 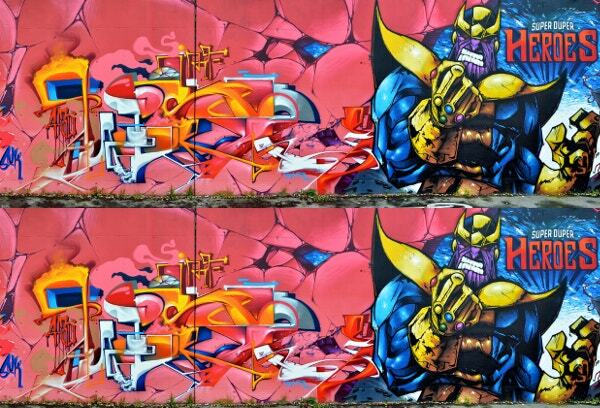 With the elapse of years, since the rise of design technology and design-driven times, graffiti art has pulled itself up to become a hot favorite with designers. That is why designers, have happily shown acceptance for it. 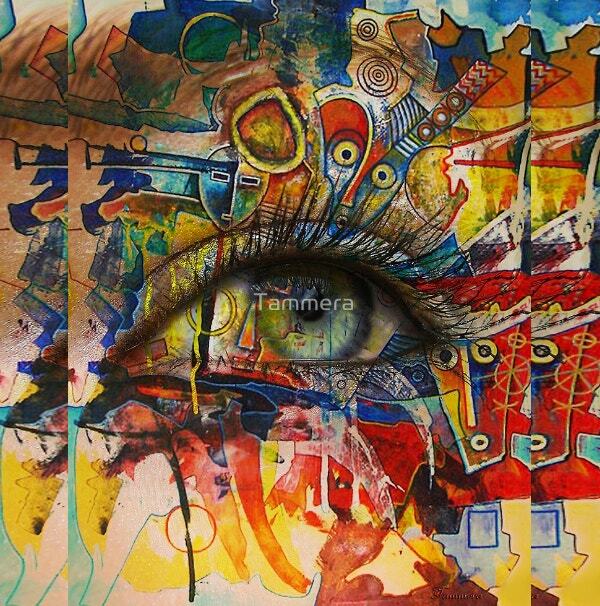 Graffiti art, in layman terms, is an art form which rests on principles of boldness, unconventional, provocative and unexpected. Earlier, graffiti art was considered to be a gang-expression, which gangs used to draw on walls demarcate their territory. 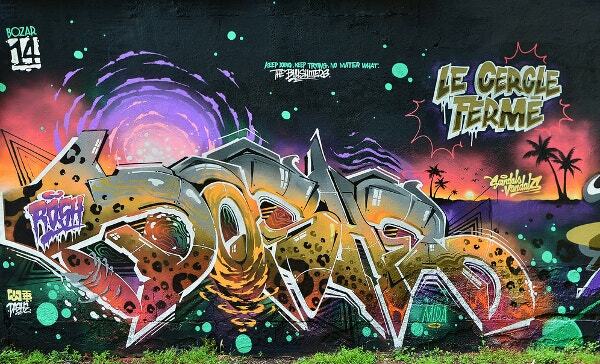 However, today, graffitis are a norm as artistic expression which is widely used to showcase ideas and thoughts which are above and beyond monotonous and regular. 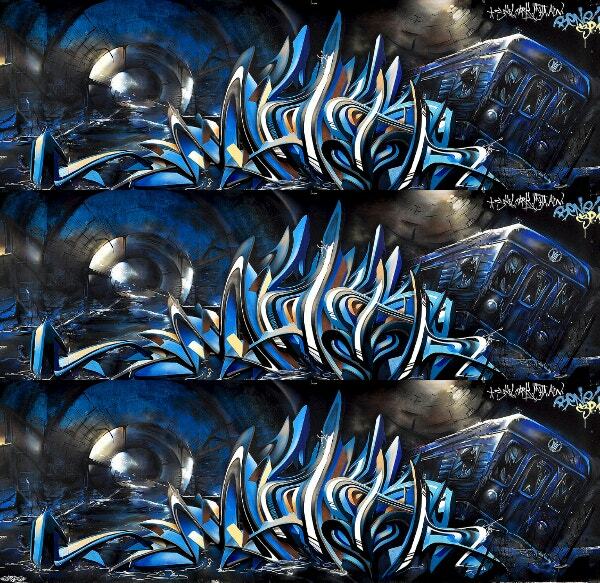 In the world of virtual design, graffiti art has become designers’ favorite go-to zone. 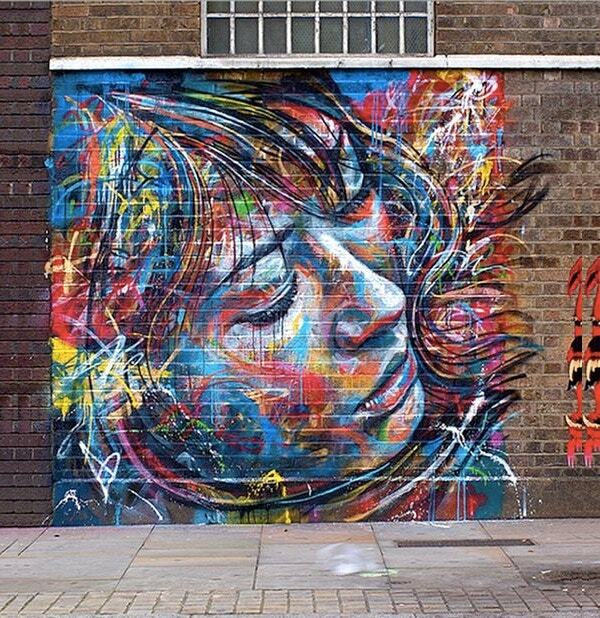 Graffiti art offers a whole expression in art, which is quite an experience, unique and one-of-a-kind. 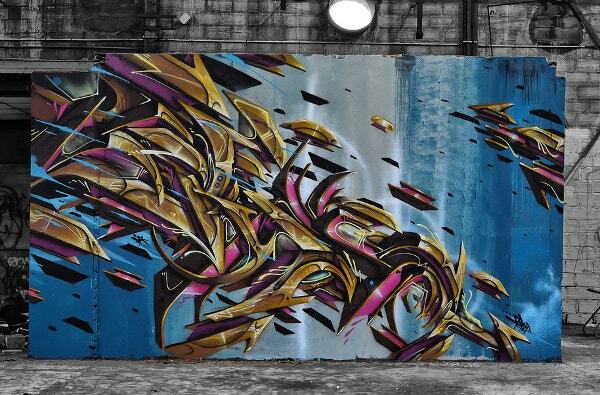 You can also see Graffiti Style Letters. 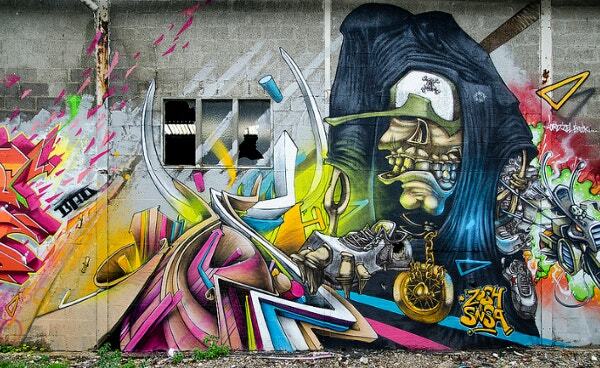 There are numerous kinds of graffiti art / drawing which are hugely popular across the world. 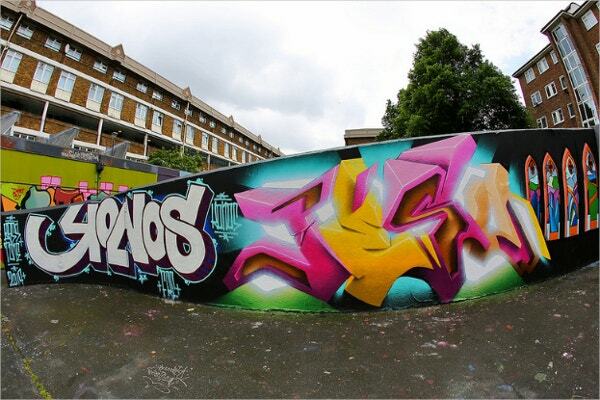 Graffiti styles cannot be bracket, because theirs is such a wide spectrum. 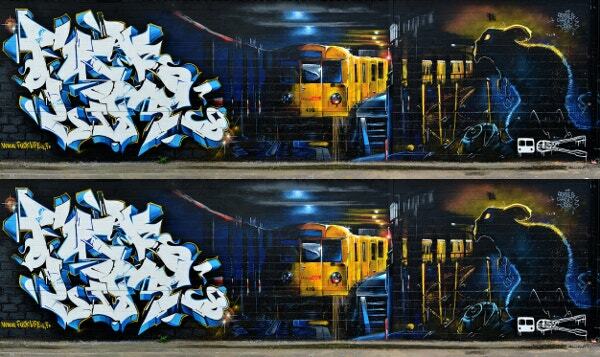 Graffiti have a global pull, alright, but their origins are local, showing off feelers of the place they come from, a city, suburb, village etc. But still, we have compiled certain styles and types that are more-or-less universal, and are frequently used in design projects. 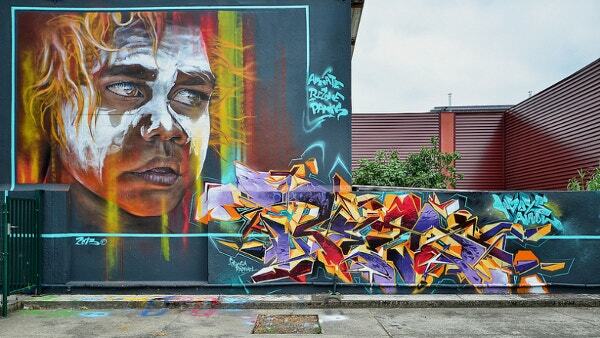 This is quick-fire graffiti writing style. You take one color and apply a layer of paint, follow it up by outlining letters on that layer using another color. 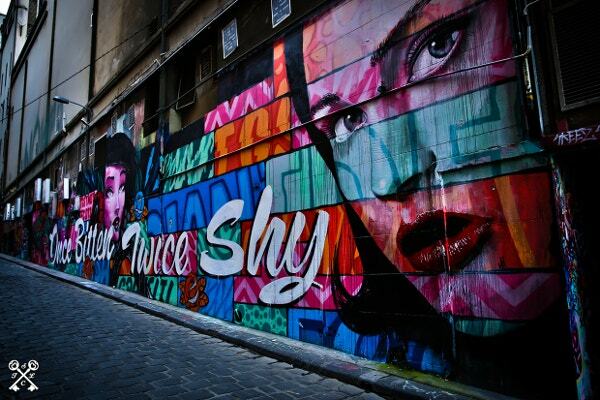 This kind of graffiti has the stencil in a starring role. 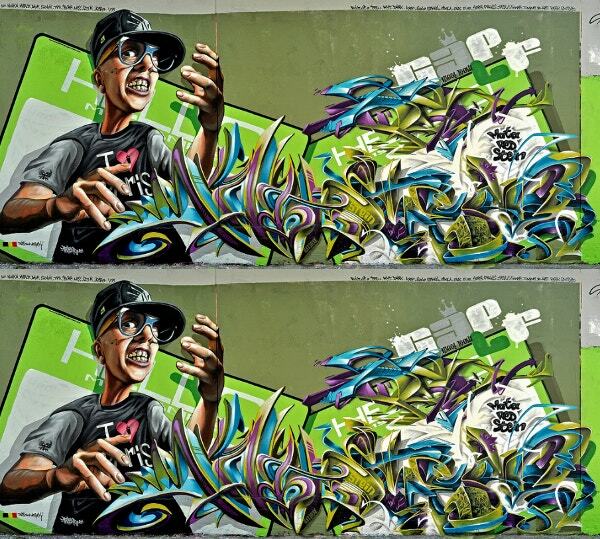 To achieve this type of graffiti, a stencil is held up against a wall, and color is sprayed into it. 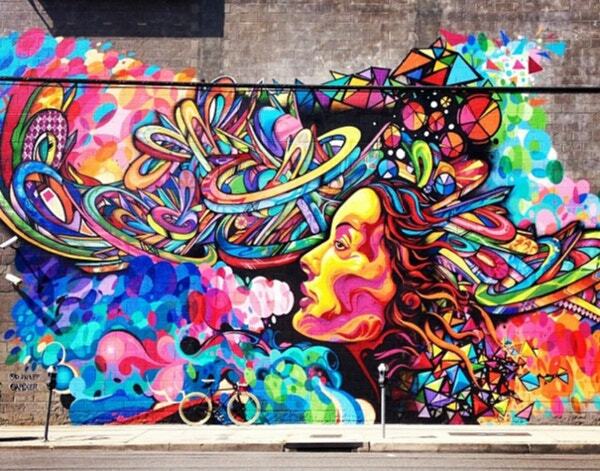 This sort of graffiti is popular because it only seems simple, and the end result is truly colorful and intricate. 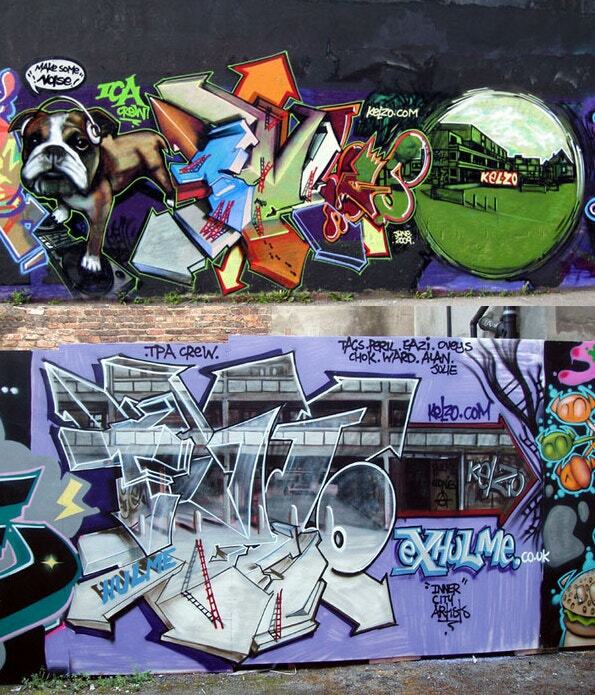 This kind of graffiti is not everyone’s cup of tea – for the designer and the viewer. It’s a very complex and complicated form of graffiti. It comprises of all kinds of tricky elements to design stylized writing, in a way that not every person can decipher. The name was coined because this kind of graffiti is designed in hard-to-reach locations – such as tall building tops or freeway signs. As the name suggests, this style is based on creating out signature characters which are used to convey a certain kind of message. 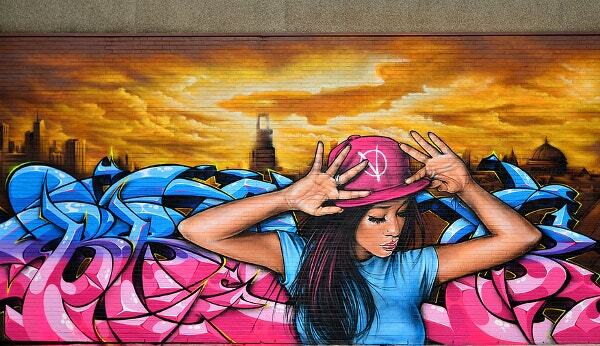 Graffiti art can be used for a whole lot of things. If you’re looking to express yourself in an unconventional manner then you can count on graffiti art to help you in number of ways. 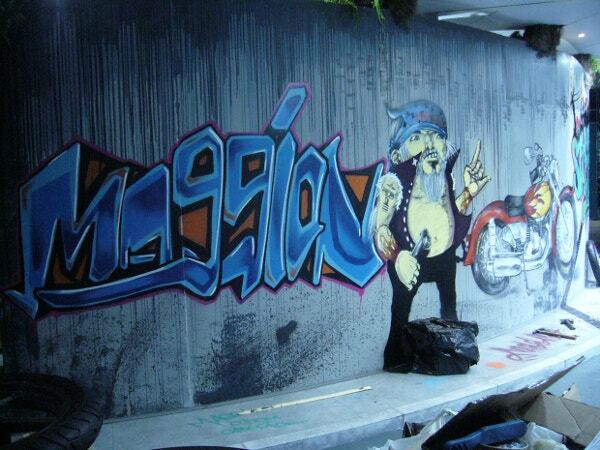 Graffiti art, after all, started as a form of expression using walls to paint or draw the message across. 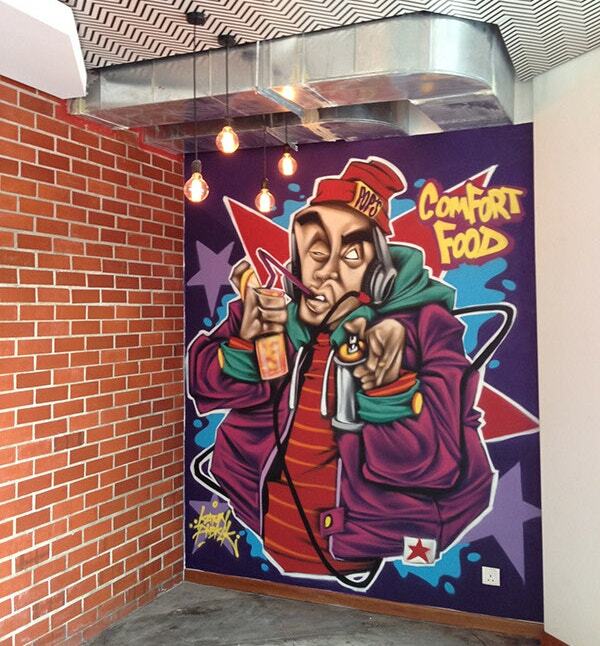 You can use graffiti art in your design projects as well. 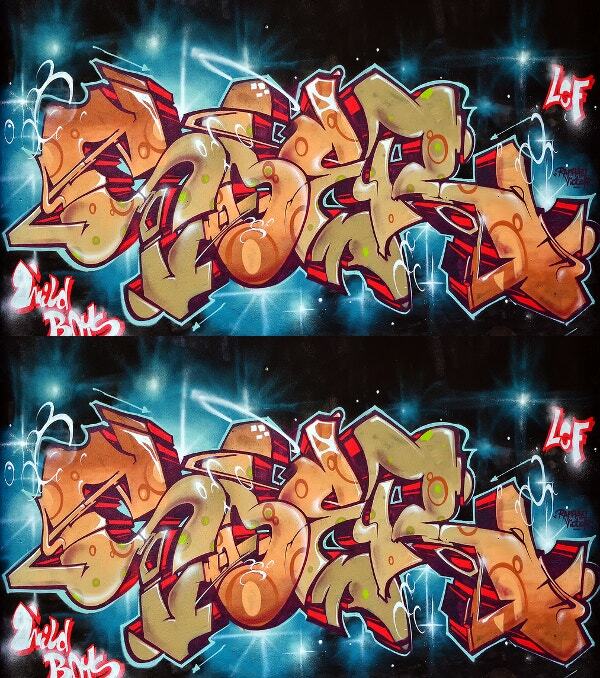 Graffiti art has given way to graffiti fonts; you can use the art form to create new interesting fonts. 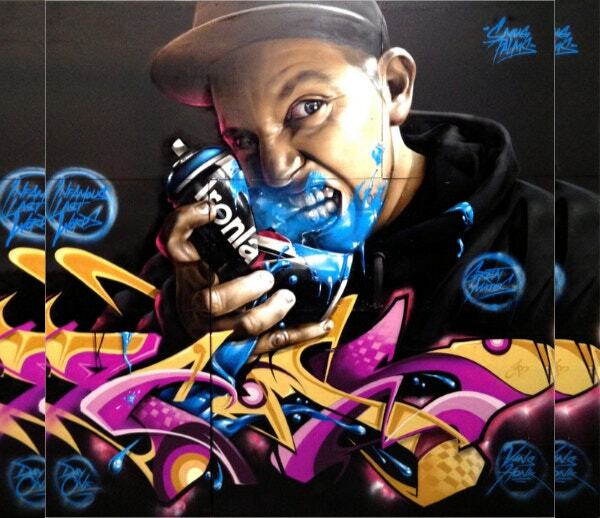 Graffiti art is widely used on all kinds of merchandise as well – apparel, fashion accessories, culinary accessories, gift wrappers, boxes, cartons, etc… there is no limit, really! 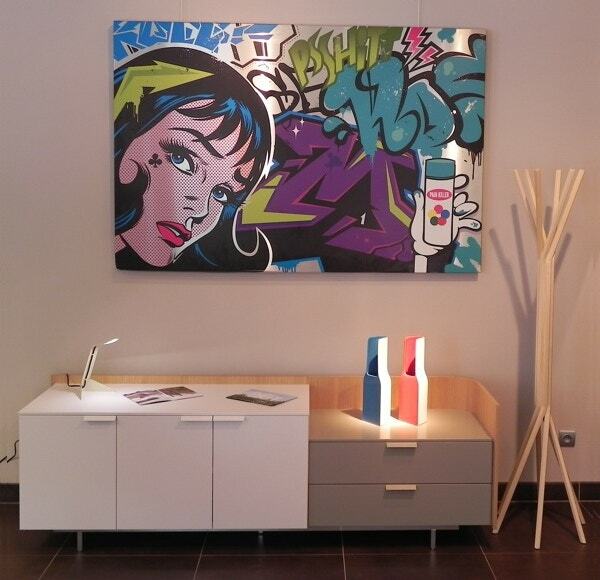 If you really want to make a statement in your own home or office, you could also have a spread of graffiti art across the walls. This could turn out to be a great motivator for you! Step 1: create a new document in Photoshop – Measurements: width 800px and height 650px. Step 2: In Photoshop, select the ‘Brick Wall Texture.’ Press CTRL+A to make selection of the texture. CRTL+C to copy, and CRTL+V to paste the same on a new document. Step 3: Click on ‘Create new fill or adjustment layer’ icon to change the appearance of the texture with color of your choice. Step 4: Click on ‘Type Tool’ to type in the text in the foreground. Choose a font you like – Follow: Layer > Layer style > Stroke. Step 5: Apply a special effect of your choice to the text. Go to Layer and select New Layer. Arrange it below the Text Layer. Use the ‘Pen tool’ with ‘Shape Settings’ to give the text the desired look. Step 6: Repeat Step 5, albeit to add another color and effect to the text. Step 7: Combine all of the layers in one group. Go to Layer > Merge Layers. Do it again by Layer>Duplicate Layer. Change Mode to Overlay. Step 8: Lastly blend the graffiti layer with the original graffiti later. Use different brushes to apply different effects on and around the text. Step 9: Save the original in PSD and JPEG format respectively. 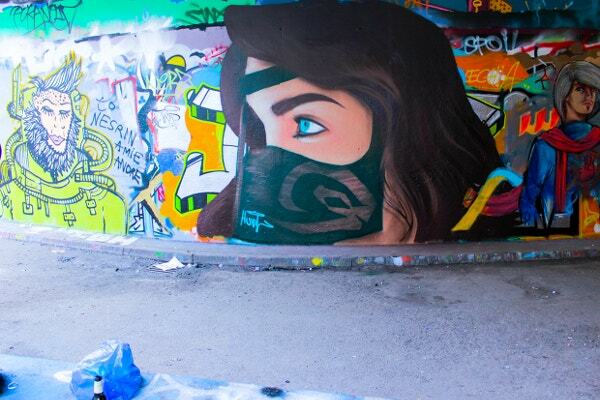 If you’re a rookie at graffiti art, starting on paper would be a great idea. First off do some serious research on graffiti art. 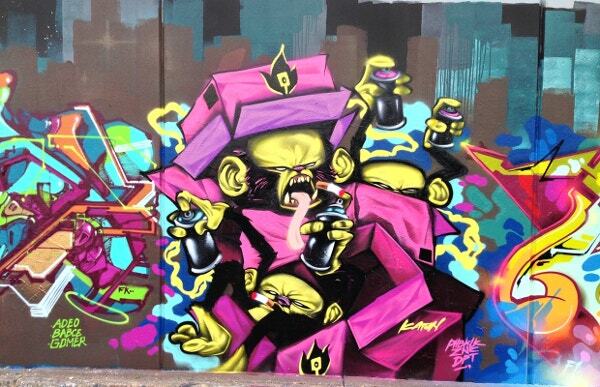 Get yourself familiar with the prominent kinds and styles of graffiti art. This would improve hand-eye coordination, and help you when you start making graffiti art on paper. Do read up some books or internet papers about graffiti art so that you get some ideas and designs that you’d like to make.